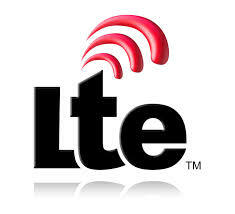 Easy step guide to enabling 4G (LTE) connections on your Samsung Galaxy S IV, Google Nexus, HTC One etc. LTE or 4G (Fourth Generation) is the latest buzz word in mobile world. You may have heard that nearly all the smart phone releases are equipped with LTE band for better connectivity. LTE not only enables faster speeds then the existing 3G networks they also make web surfing a pleasure like you get on a hi bandwidth broadband cable network. LTE networks usually allow uploading and downloading data at superfast speeds viz. 326 Mbps for download and 86 Mbps for uploads. Even as the 3G roll out has not had the expected results due price barriers, 4G in India is a far way off. But is it really? The 3G price wars started. Yesterday Reliance Communications slashed 3G rates to less then 2G rates. Now you can get the 3G connection of 1GB data for Rs.123.00 where as 2G connection for same data cost Rs.127.00 on Reliance network. The other carriers charge Rs.250.00 and above for the same limit but this is expected to go down soon. Airtel is offering 4G services in Kolkata, Bengaluru, Pune and Chandigarh but the rates are agonisingly prohibitive. But this also will change with Jiyo belonging to Mukesh Ambani entering 4G market soon, the Indian internet market is designated to explode further. So if you already have got a LTE enabled phone like Samsung Galaxy S IV you have got to know how to use it. The 4G or LTE settings in Samsung Galaxy S IV are a little tricky but once you have saved them they are done. So here is what you have to do. First you have to tap your Menu Key from where you have to go to Settings. From setting tap on More Networks. This will open the Network Modes window. 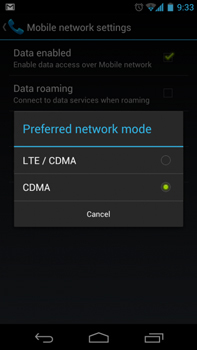 In this window select 4G/LTE, choose the LTE/CDMA option and for 3G, choose CDMA. Now switch of the phone and restart it and speed along the internet highway. Most Android phones have similar settings so you can use the same way for other LTE enable phones. To switch of LTE or 3G simply go to the same window and select 2G mode where available. The above image is of Google Nexus which doesnt have a 2G mode. Some of the LTE enabled phones available in the Indian markets are LG Optimus Vu 2 Plus, HTC One series, Samsung Galaxy S IV, Google Nexus, Huawei Ascend D2, ZTE U9810, Apple iPad 3 Wi-Fi + Cellular, Apple iPad 4 Wi-Fi + Cellular, Apple iPad mini Wi-Fi + Cellular, Apple iPhone 5, BlackBerry Q10, BlackBerry Z10.